Fantasy football is a statistics-based game in which players compete against each other by drafting and managing players from NFL teams. Participants draft their own team before the start of the football season and compete with the fantasy teams built by others. Fantasy football is generally a season-long competition, although week-long contests have gained popularity. Individual game winners are determined by points accumulated by NFL players based on their real-life performance in a game on the same day. Fantasy football can trace its origins to the late Wilfred Winkenbach, who was an Oakland-area businessman and a partner in the Oakland Raiders. During the 1962 NFL season, Wikenbach, along with Raiders Public Relations Director Bill Tunnel and Tribune reporter Scotty Stirling developed a system that would develop into modern fantasy football. The inaugural fantasy football draft took place in 1963. A fantasy league is usually comprised of eight, 10, 12, 14 or 16 fantasy teams, each drafted and operated by a different participant. Each participant, also known as an owner, takes turns selecting players until all predetermined roster slots are filled. Team owners are responsible for choosing a starting lineup for each game, signing replacement players and making trades if they choose to do so. At the end of the fantasy season, generally the final weeks of the NFL's regular season, a playoff tournament will determine the league champion. The number of teams qualifying for the playoffs is determined before the season begins. There are many different types of leagues with varying playing styles, for example, the standard draft, auction, dynasty, keeper, individual defensive player, and survivor. There are different types of standard draft fantasy football leagues, the most common being: head-to-head and total points. In a head-to-head league, a team matches up against a different team each week. The team receiving the most points of the two that particular week is awarded the win while the other team is given a loss. At the end of the regular season, teams with the best won/loss records meet in the playoffs to decide an eventual champion. Dynasty leagues are for the serious fantasy football owner and require a commitment over multiple seasons. After the initial draft in a dynasty league's inaugural season, players remain on the same roster from one season to the next unless they are traded or released. Each year after the initial season, a draft is held for rookies only, so fantasy owners must be more in tune with the talent in college than an owner in a standard draft league. 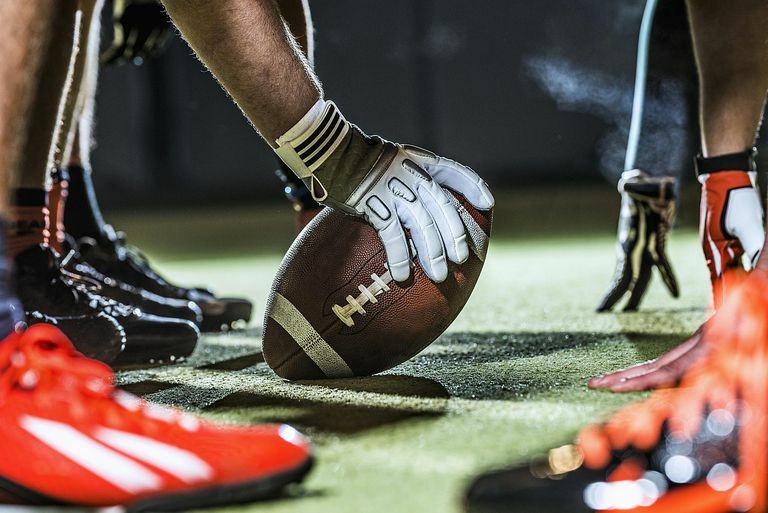 This type of fantasy football league also allows owners a more realistic experience managing a franchise as they must take into consideration how each transaction affects the future of their franchise. This type of fantasy football league utilizes defensive players on an individual basis rather than as a defensive unit, which is common among most other types of leagues. The additional players and positions to fill require owners in an IDP league to do a lot more research to determine which defensive players to draft and when. The players tracked are defensive linemen, linebackers and defensive backs and stats tracked include tackles, sacks, interceptions, fumbles, touchdowns and turnover return yardage. Survivor leagues can utilize any type of draft, however, they usually use a standard or auction type. Systems of scoring can vary as well, but what makes a survivor league unique is that the team scoring the least amount of points in a particular week is eliminated for the remainder of the season. On a weekly basis, all a fantasy owner needs to do is avoid having the lowest score of all teams in the league. As the weeks go on and the number of teams lessens, it becomes increasingly difficult to do that. The last team remaining after all others have been booted is the survivor and is crowned league champion. The number of players on a fantasy football team varies from league to league usually from 15 to 18 players, it generally includes a starting lineup and a bench. So, that means a team might have at least two quarterbacks, three running backs, three wide receivers, two tight ends, one kicker and two defensive units. Each week, owners submit a starting lineup taking into consideration injuries, match-ups and players on bye weeks. Lineup changes are made prior to the start of each game in which the players in question are involved. If an owner fails to make adjustments in the starting lineup, the players will remain the same as the previous week. The number of players on a team's active lineup varies from league to league. One of the more commonly used combinations of players includes one quarterback, two running backs, two wide receivers, one tight end, one kicker and one defensive unit. 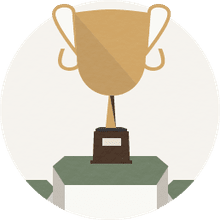 There are many variations in scoring systems, but a popular scoring system awards points similar to how a football game would award its points. A touchdown results in six points for the scoring player. If the touchdown is the result of a passing play, the quarterback is also awarded the same. Field goals count as three points for the kicker. Some leagues offer more points as the field goals get longer. Generally, anything more than 40 yards counts as four points and anything more than 50 yards is awarded five points. Kickers also receive one point for making an extra point after touchdowns, and a player scoring on a two-point conversion receives two points. A Safety results in a two-point bonus for the defense. Offensive players can also pick up points based on receiving, passing, and rushing yardage. One of the more common formulas awards one point for every 10 yards rushing, one point for every 10 yards receiving and one point for every 25 yards passing. On defense, a team's score is based on how many points the team gives up, combined with bonus points for sacks, turnovers and defensive touchdowns scored. There are a number of variations in scoring based on the number of points given up. Sacks generally add one point each and turnovers are worth two points. Some leagues include special teams play in the defensive score while many do not. Any player that remains undrafted is classified as a free agent and can be signed by any team on a first-come, first-served basis. However, if the addition puts a team over the roster limit, the owner must release one of the players on his roster. The league championship is held when the playoff field has been narrowed to two teams, with the winner being crowned as league champion.